This is an important question for everyone to understand, because there are big differences between the two when it comes to both treatments and costs. If a medical condition is non life threatening. At an Urgent Care Center, you can receive the treatment that you need for your minor injury or illness, the wait times are much lower, and the cost is much less expensive (co-payments are much less for the same treatment in the Urgent Care Center then they are in the Emergency Room). Lastly… we like to help our clients grow and improve. Outside of just health coverage, we know that employee benefits can add a lot of value to an organization. We take great pride in taking good care of your employees, and helping them find the benefits they want or need. We want to help you attract and retain the quality employees that are going to take your business to the next level. If you’re an employer between 2 to 50 employees, we want to talk with you. There’s often a misinterpretation that brokerages are looking for the “big fish” clients… not-so at PolicyAdvantage.com. We can’t wait to help you improve your small business. For a free consultation, please contact us at our dedicated customer service line: 1(800) 617-0089, or shoot us an email at info@policyadvantage.com. Avoid tax penalties in 2015! They’re getting bigger. Contact a Covered California “Certified Insurance Agent” today, to help you enroll. We’re certified at PolicyAdvantage.com. 1(800) 617-0089. Welcome back to our blog here at PolicyAdvantage.com. Thanks for stopping by. If you haven’t noticed, we’ve taken an 8+ week hiatus between new posts, and have been working on some great things. 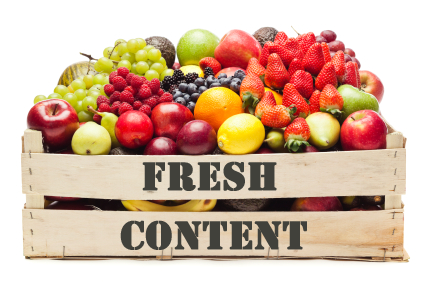 It’s time to get back to some fresh blog content. Preparing for open enrollment. 2014 individual and family plan (IFP) open enrollment is here SOON. It runs from November 15th, 2014 until February 15th, 2015. We’ve been putting together quote sheets, advertisements, and more. Upgrading our website. Our website has undergone a major upgrade over the past 8 weeks. Feel free to visit at http://www.PolicyAdvantage.com. Among the new features: A) An upgraded layout and theme with a modern look, B) improved individual and employer sections, C) online applications make easier, and D) a new blog section. Developing our lion’s name & website. Our lion does have a name. We’re really happy with it, and it works well with our overall theme. We’re also beginning early preparations for his website. Thanks for your continued and ongoing support since our inception in 2012. We’ve enjoyed working with our clients, building the brokerage, helping people navigate the new healthcare reform environment, and more. We’re back at it. We’ll continue to crank out valuable, up-to-date, relevant information that will help you (or your business) improve coverage and save money. Coming soon: some healthcare reform planning tips that you might not realize were available. Welcome back to another edition of our “#Advantage” blog segment. This is where we answer the questions that we get at Twitter. As some of you know, our official Twitter hashtag is #Advantage and you can catch up with us here: http://www.twitter.com/advantage (or at @advantage). @policyadvantage what's the long term price tag of Medicaid expansion? Let’s start with a short history: back in the summer of 2012 when the Supreme Court of the United States upheld the “individual mandate,” they also ruled that individual states have the option to either “opt in” or “opt out” of expanding Medicaid in their state. As of 2014, 27 states (including the District of Columbia) have expanded their Medicaid programs (here’s a great infographic from Families USA). That’s over half of the nation. Utilization of the Medicaid program (ie: number of people eligible). Whether-or-not the state decided to expand Medicaid under the federal reform law. If you want to get really in-depth about it, here are the details from the Kaiser Family Foundation: Why does Medicaid Spending Vary Across States: A Chartbook of Factors Driving State Spending. The Kaiser Family Foundation utilizes the “Urban Institute’s Health Insurance Policy Simulation Model (HIPSM)” to provide national as well as state-by-state estimates of the impact of the ACA on federal and state Medicaid costs. A) What do the proponents of the expansion say? : Those in favor say that it will reduce the amount of uninsured people, while reducing costs. Many formerly uninsured will be covered, and the general public will take on less of a burden when having to compensate for unpaid medical bills of the uninsured. B) What do the opponents of the expansion say? : Those opposed say it’s too expensive, over-reaching, and unaffordable. In order to pay the bill (especially at the federal level), taxes will have to go up. Additionally, some are still skeptical about whether-or-not raising taxes will even be enough to pay the bill. C) What’s going to happen? : That’s the billion dollar question. Obviously you can speculate, but you can’t predict the future. Optimistically you want to say it’s going work, but technically is still “TBA” (To Be Announced). D) What IS happening? : Generally speaking, those states that have expanded Medicaid in 2014 are seeing some short-term success. The question though is long-term: will it be affordable and sustainable? Again, TBA. Thanks for stopping by at our “#Advantage” blog segment dedicated to questions from our followers and others. We hope you found our information to be valuable. We’ll continue to roll-out answers as questions come in. Don’t forget to hash “#Advantage” at Twitter, and visit our official tag here: www.twitter.com/advantage. Today we’re going to look at “private health insurance exchanges.” This has been one of the biggest buzz phrases in the health insurance industry over the past couple of years for a number of different reasons. The biggest reason though, is healthcare reform. With the implementation of new provisions required in the Affordable Care Act, the way that employers offer health insurance to their employees is changing. We’ll take a look at the workings and the structure of private insurance exchanges. We’ll also describe the different components that make-up a private health insurance exchange, the types of businesses that should be taking the closest look at these exchanges, how private exchanges work, and why they’re growing in importance. Technology and software: software programs help facilitate administration of private health insurance exchanges. Technology keeps the private exchange concept simple for both the employer and the employee. One example is http://www.liazon.com. Liazon’s platform allows an employer to define a contribution (much like an allowance), and then employees select their own health benefits. Simply, it’s an employee’s money to spend how he/she wants. The software keeps track of funds spent, shows the employee what kind of health insurance options are available in the private exchange, and allows employees to select plans they want. Group health insurance plans: in the past, many employers only offered one group health insurance plan. Administration of multiple plans could be a challenge. So to fix that problem, software companies (like Liazon) have arrangements with insurance companies that allow the employer to more easily offer multiple group health insurance plans, from multiple carriers. The important word here is multiple. With the software and technology that’s available, it’s not nearly as difficult to offer a selection of group health insurance plans anymore. This is important because one of the biggest goals of private health insurance exchanges is to provide choice. By utilizing a private exchange, employees now have choice. There are additional ways to set up private health insurance exchanges, but businesses with +50 full time equivalent employees will almost always be utilizing the two concepts we’ve described above. And that’s who this article is intended for: businesses that are mandated to provide coverage. However, smaller businesses can also utilize this exact same strategy. If you’re a business that is at 20 employees or above, you’ll want to understand this concept. Question: Why are private health insurance exchange becoming more important? 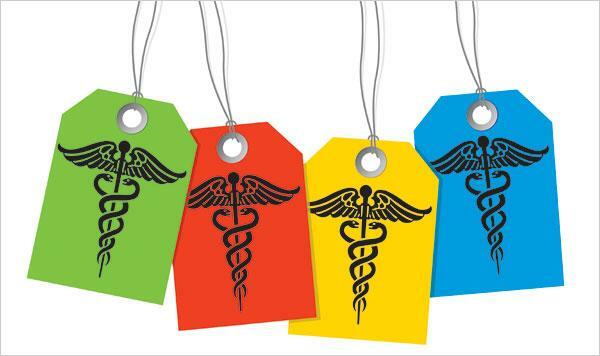 Private health insurance exchanges give employees choices. Instead of being “stuck” in one group health insurance plan, they can more efficiently choose which plans fit them best. Having choices is now more important than ever before, because dependents (spouses and children) need to have affordable access to coverage. In the past, sometimes it was flat-out too expensive for an employee to include their dependents. The private exchange concept helps alleviate that issue. Businesses with +50 full time equivalent employees are mandated to provide coverage. A private exchange is a cost-effective and budgetable way for employers in the “large group” category to provide coverage. You decide on the amount (called a “defined contribution”), and then give that amount to each employee. They pick the plan they want. Efficiency. If employees are making their own decisions and picking their own plans, the whole system becomes more efficient. Instead of you telling them what they get, they instead pick what they want. When consumers are making choices, they’re more conscience about where money is being spent. That’s the basic break-down of private health insurance exchanges. Unlike public health insurance exchanges (ie: state & federal exchanges), private exchanges are completely administered within the private workplace. As mentioned, private exchanges can be an exceptionally important concept for those businesses in the +50 employee range. They accomplish three very important things: budgetability, selection, and flexibility. Those qualities will be very significant to businesses that are mandated to provide coverage. However, this same concept can work very well for smaller businesses too (in the 20+ employee range). We work with private health insurance exchanges at Policy Advantage Insurance Services. If you are an employer that fits into the “group-sizes” we’ve described, contact us anytime if you have questions. Today we’re going to provide small businesses with some information about healthcare reform. We’ve put together a checklist, so you can walk through each important item one-by-one. What does a checklist do? It helps you navigate. If you have a checklist of items, you’ll know exactly what you need and where to get those items. It’s just like running errands. By having a checklist, you won’t forget the important things either. The things that will save you time, money, and help you improve coverage. Item #1: Determine if you’re a small business. This is number one. You want to establish this right away. Why? Because there are costly tax penalties that may be incurred if you’re actually a “large business” and don’t provide health coverage to your employees. As it stands, “large businesses” are mandated to provide healthcare coverage to their workers. Small businesses are not. Knowing whether-or-not you’re a small business will also help you determine your plan design strategies. Providing health benefits for yourself or your employees as a small business owner differs greatly compared to those of large businesses. Question: What is the definition of “small business” with regard to the healthcare reform law? Answer: Small businesses are businesses with less than 50 fulltime equivalent employees for the previous calendar year. You’ll sometimes see “fulltime equivalent employee” abbreviated as “FTE.” This is a very important concept. Also, your FTE count DOES include part-time employees. A part-time employee is defined as working less than 30 hours per week, and there’s a calculation when determining their “full time equivalency.” If you’re anywhere near 50 FTE, you’ll want to make sure to have this all sorted out, because there are costly tax penalties for those employers that are over 50 FTE and don’t provide health coverage. Item #2: Know the differences between individual health plans and small group health plans. The second important item is to know the differences between individual coverage and small group health insurance coverage. If you know anything about health insurance, you’ll know that these are two parts of the industry are completely different. They have different characteristics. There are different rules. There are different eligibility criteria. There are different tax incentives. Depending on your business, your objectives, your budget, and other considerations… you’ll need to determine what kind of health insurance plan you want to work with: A) Individual health insurance plans, or B) A group health insurance plan. The good news: because of healthcare reform, it’s now easier than ever before to work with individual health insurance plans to provide coverage to your employees. And in certain cases, it might even make more sense. Know how individual health insurance plans and the health insurance exchanges can work for small business. That being said, group health insurance can still be an important option for small businesses. Group health insurance plans also have the best tax incentives, especially if employees are contributing to the plan. Physician networks are also sometimes better when working with small group health insurance plans. Additionally, there is now a group health insurance plan called SHOP (the Small Business Health Options Program) that is available through the health insurance marketplaces. SHOP can provide tax-credits to help with premiums for qualified small businesses. Item #3: Decide if you’re going to provide health coverage for your entire group or just yourself. Remember: small businesses (less than 50 FTE) are not required to provide health coverage to their employees. However, if you’re not going to provide coverage, you and your employees will still need to find an individual health insurance plan somewhere on your own. The reason? Everyone has to have health coverage or pay a tax penalty. Determine if you have a budget for your entire group. There could be strategies that are surprisingly affordable, especially based on the size and average income of your group. Item #4: Understand the different planning strategies for small business. There are a variety of different planning strategies that are available to small businesses. These different strategies can utilize individual insurance plans, or group insurance plans. Defined Contribution Strategy: “Defined contribution” is a retirement planning phrase. It’s been around for a long time. You can Google it and read all about it. Health benefits planners are now using “defined contribution” strategies to fund healthcare. And it’s simple. It’s exactly what it says it is: you “define a contribution” (ie: $300) per month, and employees then purchase their own individual health insurance plans. Employees can pick from insurance policies that are both on or off the public health insurance marketplaces (where they may also receive substantial subsidies, based on income). This strategy is budgetable, and gets business owners out of the business of making insurance decisions. Employees make their own decisions and purchase their own plan. Effectively, all it is is an after-tax stipend. A raise. Consumer Directed Health Planning: This can also be referred to as account based or equity based planning. Small business owners can provide their employees access to a high deductible health plan (usually a group plan), and then pair it up with an HRA (health reimbursement arrangement) or HSA (health savings account). The HRA or HSA becomes an asset that builds equity over time. You retain funds that would normally go to the insurance companies in the form of premiums, and ownership of the account stays with either the employee or business, depending on your strategy. Small Business Health Options Program (known as SHOP): This is a new program that has been made available on both the federal and state health insurance exchanges. It was specifically designed to help small businesses (under 50 FTE) provide a group health insurance plan to their employees. Depending on income and size of your group, you may also be eligible for a sizable tax credit (up to 50% of premiums). Item #5: Know where you have access to products, advice, customer service, and consultation. This is the last item on the list. Know where you can find help. Find effective advisers that can help you sort everything out. A “one-stop-shop” can help you save time, money, and a lot of hassle by “outsourcing” your small business health benefits planning. It’s like having your own human resources department. And the good news: brokers are typically compensated by the insurance companies in the form of commissions. So you don’t have to worry about broker fees, etc. Compensation is built into every single health insurance plan regardless of whether-or-not you choose to work with an adviser. Licensed, accredited, ethical. Find consultants that are licensed by the Department of Insurance to do business in your state. Take it a step further and find advisers that have professional designations. People with these designations provide advanced knowledge, and also adhere to strict ethical standards. A strong selection of reputable product choices. Your broker/consultant should offer you a wide variety of choices from reputable insurance companies. Advice and consultation in non-insurance products and services. Your broker/consultant should also be offering products and services that are considered “non-insurance products.” After-all, the goal is to fund healthcare efficiently, and there are important tools that can help accomplish this besides just insurance policies. Things like HRAs (health reimbursement arrangements), HSAs (health savings accounts), COBRA administration, knowledge of tax incentives, etc. Find a well-rounded broker. And that’s it. That’s your healthcare reform checklist for small business. By understanding the points we’ve made, you’ll be on the right path to drafting a health benefits program that fits you or your business best. We help individuals and businesses sort everything out at Policy Advantage Insurance Services. We can help you design an effective, efficient program that fits your objectives. Please contact us anytime for a free consultation.